When I was younger I spent a lot of time at a friends cabin. My friend and his family were very involved in boating. I would go stay with them, sometimes for a week at a time, over summer vacation. I have great memories of tubing, skiing, kneeboarding, and just relaxing in the boat on the water! Talking to my buddy now that we are older, he also says some of his greatest memories growing up are his summers at the lake! My wife and I decided we wanted to capture some of those memories for our family also! My grandparents have a cabin which my family is very fortunate to have the opportunity to spend a lot of time enjoying. They have a canoe and a raft, but never were much into boating. My wife and I came across a great deal on a boat that we decided to purchase. Looking back we didn’t even realize how perfect this boat actually was for our family. The boat style is considered a “deck boat”, basically a cross between a pontoon and a fishing boat. It is great, with lots of seating, big enough for the whole family to be comfortable, enough power to pull people on tubes or skis and convenient enough to fish out of, we couldn’t have asked for anything better!! Now, when we are up at the family cabin and have a way to get out on the lake, there is a whole new sense of adventure! 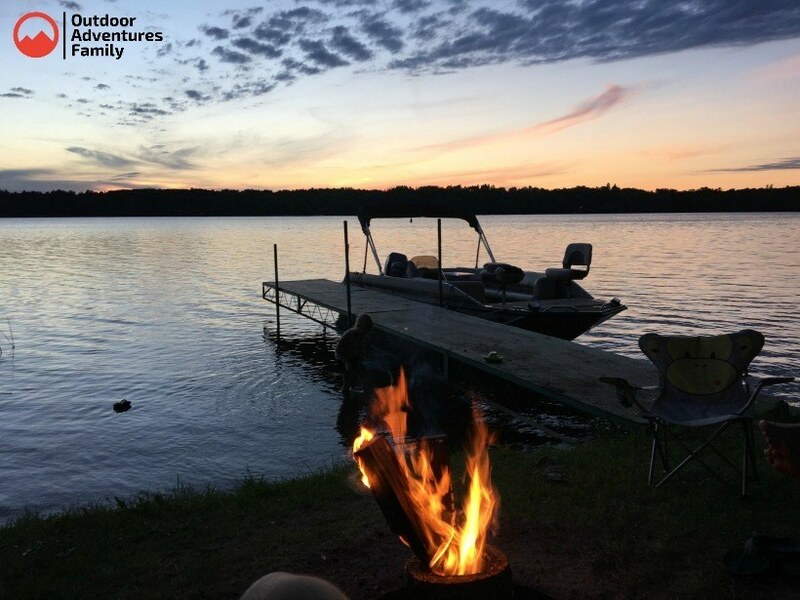 Living in the”Land of 10,000 Lakes” we find ourselves trailering our boat to different lakes to go explore and believe me there is no shortage of lakes! 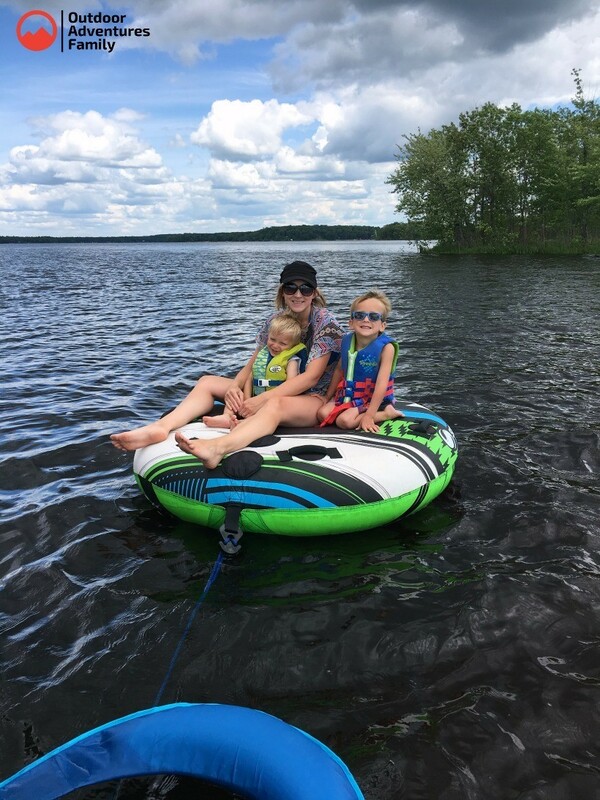 I mentioned before that the boat is great for pulling people on tubes or skis, the kids absolutely love being pulled on the tube, I think I could go around the lake 100 times and the kids would still want to go more! My wife and I enjoy wakeboarding and skiing which the kids also enjoy watching and sometimes even find it very humorous! When everyone has had their fill of water sports we usually float in the middle of the lake, put the swim ladder out and jump in to enjoy the refreshing water. Some of us like to sit and relax out there while others enjoy swimming. It is such a blast on a warm summer day! We even bought a floating foam pad that the kids can run and jump on in the water. It rolls up and gets stored on the back of the boat when we are finished swimming. 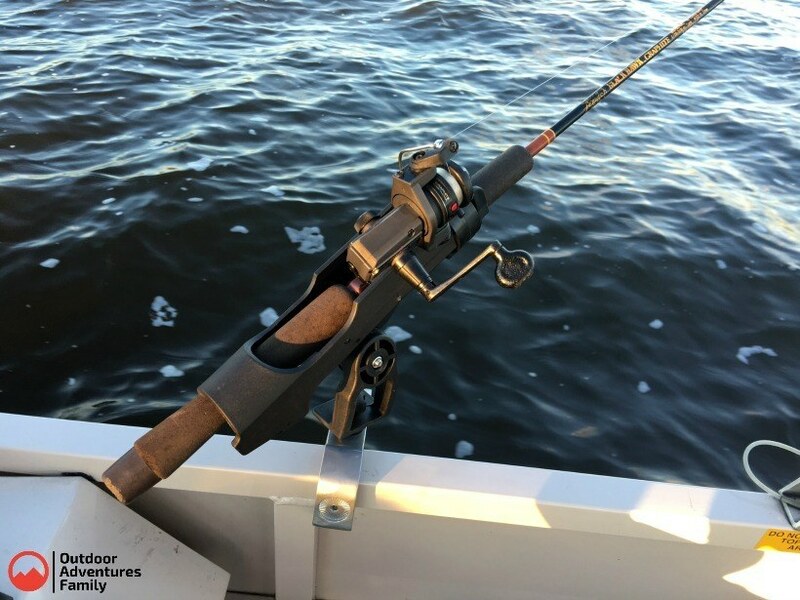 Fishing is another great activity to enjoy on the water. Growing up I was really never into fishing. Now that we spend a lot of time on the water it is something I have been getting more involved in. I find it can be very relaxing and also exciting at the very same time. There is also nothing better than bringing home the days catch and having some fresh shore lunch! Our kids are also very interested in fishing. They started out with the small fishing rods just learning how to cast out a line in the backyard and have now worked up to making every outing a contest to see who can catch the biggest fish. They also enjoy searching through the lures to pick that perfect lucky lure of the day! Keep coming back to check out what great boating and fishing adventures we go on next, also we will give you ideas for your own family adventures on the water. Previous Post Plan A Family Adventure & Get Your Kids Involved In Your Hobbies Next Post 10 Fun Outdoor Camping Games For Kids And Adults!